A mass grave containing 72 corpses was found by Mexican army officers at a ranch in the state of Tamaulipas in the country’s north-east on Tuesday. It is thought to be evidence of the single biggest massacre committed during the Mexican government’s drawn out and bloody struggle against organised criminal cartels, which began to gather steam with the election of Felipe Calderón in December 2006. All of the 58 men and 14 women whose bodies were found are thought to be foreign nationals from other Latin American countries who were passing through Mexico en route to the United States border when they were intercepted and murdered, supposedly by a gang involved in the drug trade. 40 of the bodies have thus far been identified, with 14 Hondurans, 12 Salvadorians and a number of people from Ecuador, Guatemala and Brazil among the dead. The gruesome discovery was made when one of the victims managed to make it to a nearby military checkpoint. He said immigrants had been kidnapped in order to extract ransom money from relatives living in the United States, and that the captors began shooting people who couldn’t pay or refused offers to work for the gang. An exchange of fire broke out between Mexican troops and gunmen thought to belong to Los Zetas, a prominent cartel involved in narcotics trafficking, during which three gang members and one soldier died. Authorities said it was likely that the massacre had taken place either on the day the bodies were discovered or on the previous day, but did not disclose the type of wounds the victims had sustained, nor any information regarding the nature of the killings. Violence is surging in the border region separating Mexico from the United States, and has been on the rise since President Calderón dispatched an additional 50,000 troops to the area as part of an effort to bring the power wielded by armed cartels under control. Tamaulipas, which borders the U.S. state of Texas and is home to over 3 million people, has seen a particularly distressing rise in violent incidents in recent months. Mexican authorities are treating the murders as a federal crime, with Calderón vowing to maintain his efforts to target organised criminal gangs, in order to prevent “the terrible events of this week from repeating themselves”. The Guatemalan government expressed its preoccupation with the “constant reports of abuses, humiliations, and human rights violations” carried out against Guatemalan immigrants in Mexico at the hands of state authorities. The United Nation’s Office of the High Commissioner on Human Rights said that the murders were “evidence of the critical situation faced by migrants” from Latin America within Mexico. On Saturday and Sunday five bombs went off in Tamaulipas, killing at least one person and injuring 23, including nine children. Several U.S. border crossings in the area were closed as a result. 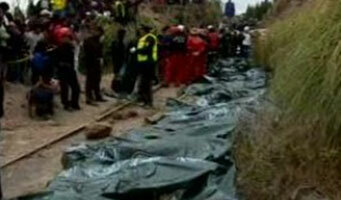 On Saturday one of the government officials investigating the case was found murdered close to the site of the massacre. His body was dumped on a nearby road along with that of another unidentified person. In the saga’s latest chapter, the mayor of the nearby town of Hidago, located around 60 miles from the state capital, was shot dead in front of his 10-year-old daughter as he drove along a local highway on Sunday afternoon. Marco Antonio Leal García was 49 years old. President Calderón immediately paid tribute to the fallen mayor and attributed culpability for his killing to organised criminal gangs. García’s daughter remains in a critical condition, having been seriously wounded during the shooting. Bolivian president Evo Morales has requested that the Peruvian government deport the former mayor of La Paz, Luis Alberto Valle, and has urged Peruvian leader Alan Garcia not to allow his country to become a “haven for criminals”. Valle is wanted on charges of corruption in Bolivia, and fled the country in April 2009, crossing the border with Peru illegally. It is estimated that the former mayor misappropriated state funds in the region of US$17 million during a two-year term between 1997 and 1999. The Bolivian president expressed regret that several former Bolivian ministers wanted in their native country have escaped prosecution for crimes committed whilst in office by fleeing to Peru. “Just as we deport Peruvians who have entered Bolivia illegally back to their country, the same thing should happen to Valle”, stated Morales upon returning from a three-day diplomatic visit to South Korea. A Peruvian court ruled that the Bolivian government must seek to have Valle extradited, which Morales maintains is not necessary given that he entered Peru illegally and therefore should not be allowed to remain in the country. Luis Alberto Valle was apprehended by Interpol agents in Lima just days after arriving in the Peruvian capital last year, and was denied asylum by governmental authorities on account of not having suffered political persecution in his native country. Peruvian police stated that Valle had apparently undergone plastic surgery in order to attempt to disguise his identity. As of yet the government of Alan Garcia has refused numerous official requests that the former mayor be expelled via the Bolivian border so that he can be detained by authorities. The Bolivian government maintains that a number of former government officials wanted on similar charges are also still at large in Peru. 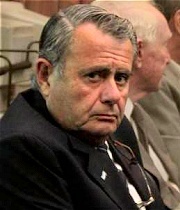 Former Argentine naval officer Antonio Pernías has admitted that the so-called “death flights”, during which live political prisoners were thrown from planes into the waters of the Atlantic Ocean and River Plate, indeed took place during the last Argentine dictatorship which lasted from 1976 to 1983. Pernías, who stands accused of human rights abuses along with 18 others for crimes allegedly committed during this period, said that the decisions regarding who to execute were made in advance by higher authorities, and that neither he nor other officers of his rank had the capacity to overrule them. His trial began in December of last year and continues in Buenos Aires. Pernías is accused by victims of having been among of the most prolific torturers at the infamous underground prison at the Naval School of Mechanics (ESMA) in the Argentine capital, but explicitly denies he took part in torture. Pernías said he was involved in “forceful interrogations”, adding in his defence that such techniques “were legal in Israel and Ireland at the time”. He went on to add of his and his colleagues’ conduct that “there was no cruelty because we were good people”. An estimated 5,000 people passed through the ESMA, the largest secret prison in Argentina, during the dictatorship. The prison was the point from which the death flights departed. Human rights organisations have calculated that around 30,000 people went missing in Argentina during this period, many of whom have never been recovered. Many groups representing family members who were disappeared during this period continue to campaign in order that those who were involved in or responsible for government atrocities be brought to justice. Dilma Rousseff, who will stand as the ruling Workers’ Party (PT) candidate when Brazilians vote to elect a new head of state on October 3rd has raced into a comfortable lead over closest rival José Serra with the election less than five weeks away. Serra of the Social Democracy Party (PSDB) has vowed to “fight until the last minute” in order to avoid a humiliating landslide for the candidate bidding to become Brazil’s first female president. 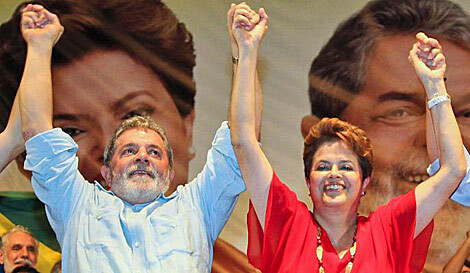 Rousseff has the backing of President Lula da Silva, and is expected by pollsters to win the election by a considerable margin. She is currently projected to reach the 55% of votes needed to avoid a run-off against the second most popular candidate. Serra held a 20-point lead as recently as December 2009, and at the end of June was neck and neck with Rousseff, who now sits on 49% in polls, compared to the 29% of votes Serra will receive according to current projections. Lula used last week’s meeting of the Sao Paulo Forum, a conference of left-wing Latin American politicians and thinkers, to underscore his support for Dilma Roussef’s candidacy and to draw attention to the economic growth Brazil has enjoyed since he took power in 2002. He said that since taking office his party has overseen the creation of 14.5 million formal jobs in Brazil, has lifted 30 million people out of poverty and has kept inflation under control after decades of economic turmoil. Brazil has one of the highest levels of wealth disparity of any country in the world, and is plagued by enormous regional imbalances, with the country’s Amazon and north-eastern states in particular afflicted by deeply rooted poverty and a lack of functioning infrastructure. Insecurity continues to be a significant problem in virtually every large Brazilian city, as affluent neighbourhoods and impoverished slums or ‘favelas’ are situated in close proximity to one another and violent crime rates remain extremely high. Chile: Rescue workers attempting to reach 33 miners trapped 700 metres below ground at a site in the city of Copiaco made contact with the group on Sunday and have verified that there were no fatalities following the collapse 24 days ago which blocked all escape routes. The government has said it is unlikely anyone will be able to leave the mine within the next two months as rescue teams continue to work around the clock. Brazil: An armed gang took 30 people hostage in a luxury hotel in the district of Sao Conrado in Rio de Janeiro’s affluent south zone on Friday. A gun battle had broken out between police and gang members near Rocinha, Brazil’s largest favela which is home to a population estimated at over 865,000. The confrontation took place after a patrol came across several pick-up trucks containing around 40 armed men. One woman was killed in the ensuing crossfire. Most of the gang managed to escape, but several gunmen took refuge in the nearby Intercontinental Hotel, taking hostages in the complex’s kitchen. All hostages were released unharmed and the police arrested nine people. 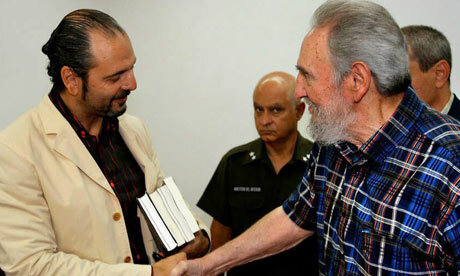 Cuba: Fidel Castro has charged that Osama Bin Laden is an “agent of the CIA” during a meeting with author Daniel Estulin in Havana. The ageing Cuban revolutionary leader observed that “every time Bush went out to instil fear or make a big speech, Bin Laden appeared, saying what he was going to do and making threats”. Estulin remarked that since December 2001, the Bin Laden tapes released and given worldwide attention have been the work of “a bad actor”, with Castro adding that former president George W. Bush was “never lacking in support from Bin Laden”. The Washington Post confirmed earlier this year that, according to a former agent, the CIA has indeed produced fake videotapes purporting to show Osama Bin Laden. In 2007 Castro raised questions regarding the 2001 September 11th attacks, saying that the U.S. government’s official story does not “correspond with the criteria of mathematicians, seismologists, and information from demolition specialists”. He said the people of the world had been “deceived” and that the truth would probably never be revealed. Ecuador: At least 42 people were killed and 12 more were seriously wounded as an intercity bus fell from a mountain road into an abyss in the state of Cotopaxi, just south of the capital Quito. Preliminary reports suggest that the bus tipped over as it approached a bend in the road, and is thought to have been overloaded with passengers who had boarded during the journey. Venezuela: 10 members of the Venezuelan military died in a helicopter accident on Saturday in the state of Apurre, close to the border with Colombia. Their craft had been pursuing suspected drug traffickers, one of whom was captured following the crash. Colombia: The Colombian People’s Defence has decried the kidnapping of two indigenous leaders by paramilitary groups in the southern department of Narino, close to the Ecuadorian border. People’s Defence Volmar Perez said that five armed men suspected to represent the militant group New Generation kidnapped the two leaders, identified as Martín Esteban Reyes Caicedo y Federico Guastar, on August 18th, as they took a riverboat towards the town of El Charco. Mexico: Mexicana, the country’s largest airline, indefinitely suspended all operations with immediate effect on Saturday, bringing to an end 89 years of business. The company had been plagued by severe economic problems in recent months. « Previous: Diary of a Domestic Extremist – Carry on Camping? Excellent roundup, I hadn’t heard about most of this in the UK press, keep it up!